Dive site Dakit Dakit is diving with many fish and colorful corals. Dakit Dakit is a gentle dive site created by a scattering of small island formations, some below the surface some above. The site is prone to strong currents, creating a beautiful soft coral garden. 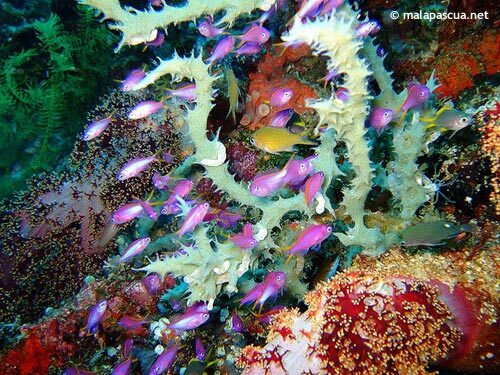 Nudibranches, flatworms, pipefish and sea horses can be found within the soft corals. This is an ideal dive for macro enthusiasts and those who need to refresh their diving skills.